Grams: WHO ARE ALL THES KIDS AND WHY DO THEY KEEP CALLING ME GRAMS? WHO ARE ALL THES KIDS AND WHY DO THEY KEEP CALLING ME GRAMS? Christmas here was the usual busy time. 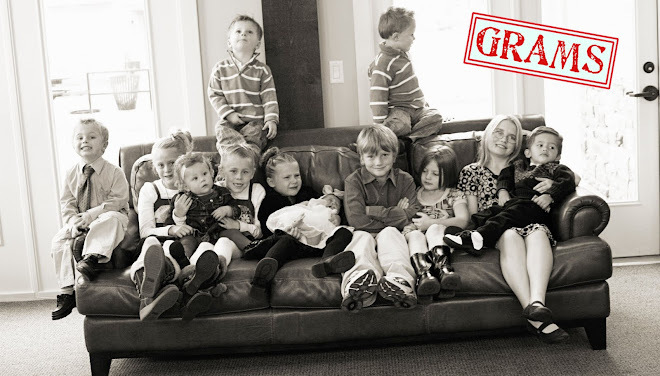 We have 14 grandkids now with 2 more on the way. The oldest is 12! For some reason when I gathered them all into a circle to open presents, it hit me…. WOW! THERE A LOT OF KIDS HERE! Usually when we get together, they are all over the place and never in one place together. I handed out the presents one at a time by age. I was a fun time. Aren't grandchildren just the greatest?